Rosa Fox (Huron Historian) adds a couple points of clarification to this chart. Knob Island isn’t really gone. Crescent Beach has just “merged” with Knob Island. The willow tree and cribbing for the old duck blind are still there, and the Crescent Beach owners have placed a very nice plaque to designate and honor Knob Island. Major Farr never owned LeRoy Island. Major Farr, a Mr. Cleveland, and the Lummis family all farmed Charles Point in the 1800s. Charles Point was purchased by a group of twelve families from Benjamin R. Lummis for $1200 ($100 – each family) in 1880. The history of Charles Point is beautifully described in James Cory Sheffield’s 1902 historic writing Point Charles Sketch. Hog Island has a new mystery name to add to it’s roster. A 1939 Huron assessor’s field book was given to the Huron Historical Department. 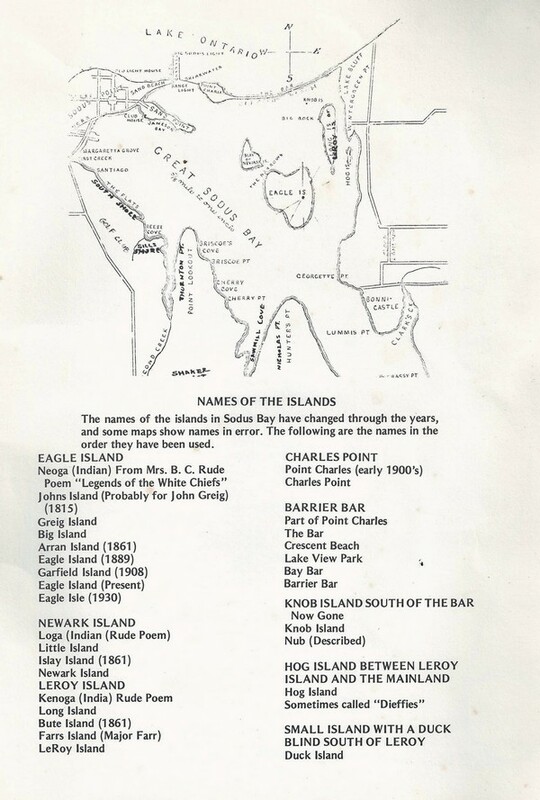 In this volume – Hog Island is listed as Hodge Island. I did some research and found a 1951 newspaper listing of tax arrears postings in which the name Hodge Island was also used.